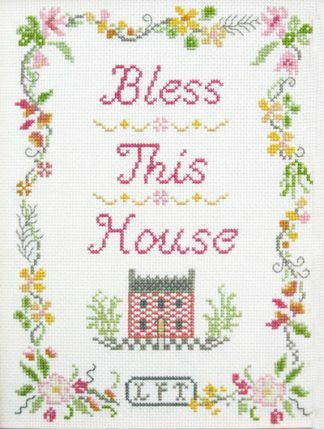 A Floral Home Sweet Home cross stitch sampler to decorate your home or for a new home. This design has shades of terracotta and smoky green with teal beads to add texture and glimmer. 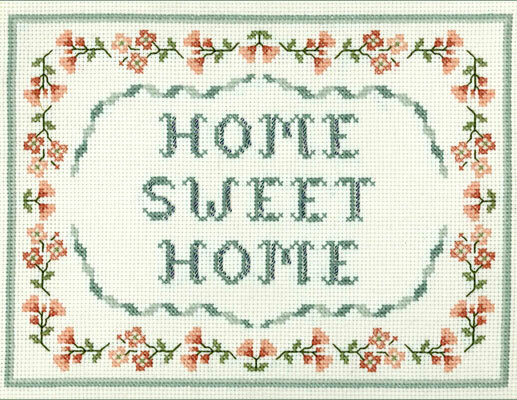 A Floral Home Sweet Home cross stitch sampler to decorate your home. 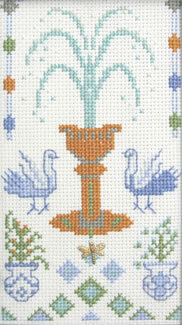 The outer floral border is stitched in shades of terracotta and smoky green. The Floral Home Sweet Home kit has only top quality materials ~ Zweigart fabric, DMC threads, Mill Hill beads, needles. 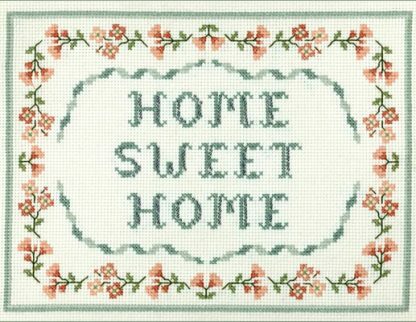 “Home Sweet Home” was a popular song for over 150 years. Adapted from American actor and dramatist John Howard Payne’s 1823 opera Clari, or the Maid of Milan, the song’s melody was composed by Englishman Sir Henry Bishop with lyrics by Payne.